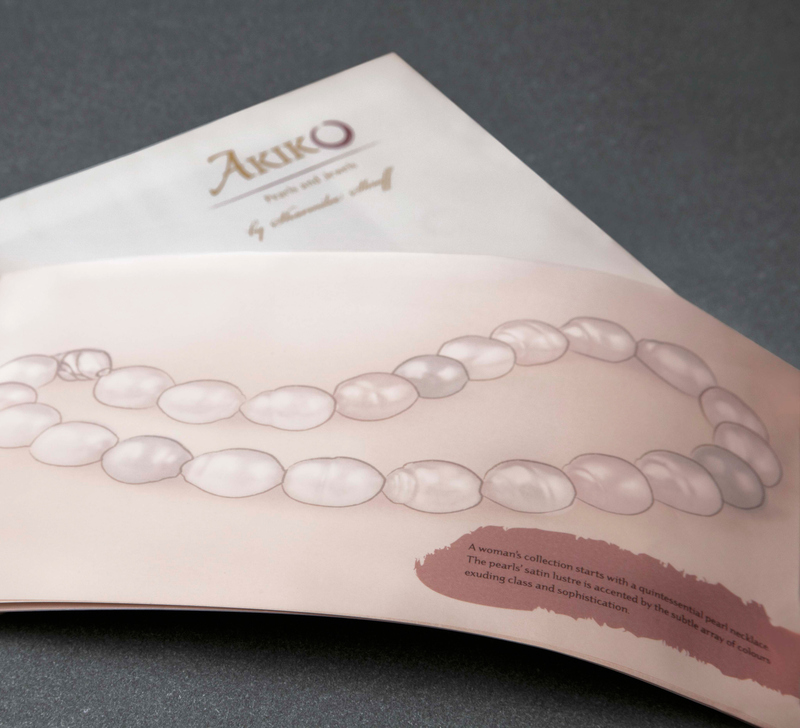 Akiko is a jewelry brand specializing in pearls. 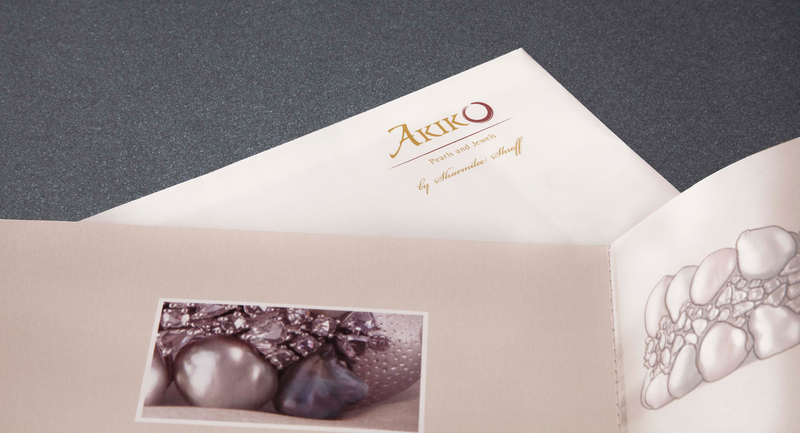 They required a Diwali greetings catalogue showcasing some of their designs that would accompany a box of cookies. 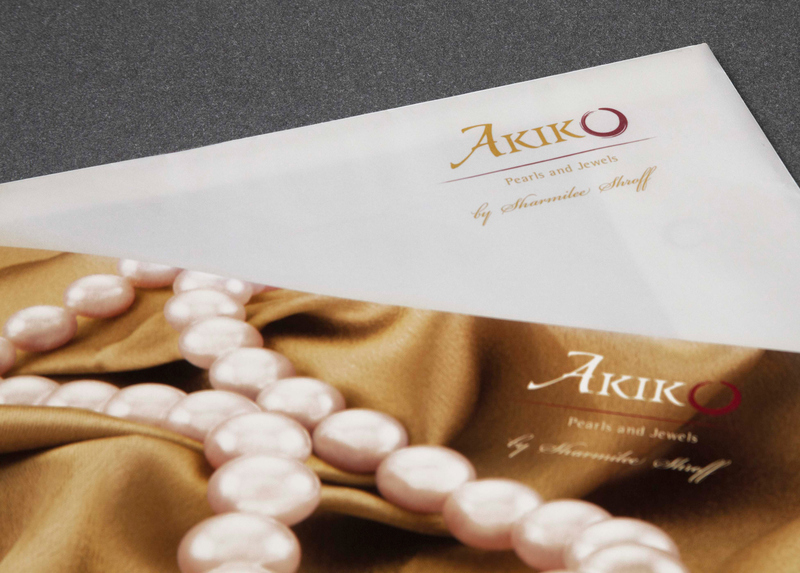 We focused on the flawless,handcrafted attention that Akiko concentrates on. 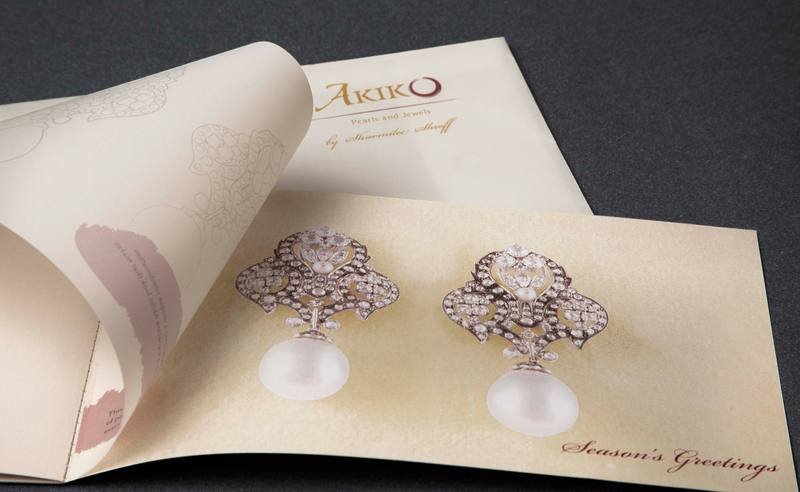 Each page of the catalogue, thoughtfully composed to focus on the detailing and the artist’s concept sketch, was printed on translucent paper laid over photographs of the jewelry, to subtly convey the process that each Akiko piece goes through before being ready to wear.